Have you seen our brand new TV ad? Arranging a mortgage through London & Country is, as the new advert suggests, a piece of cake. With that in mind, we've decided to celebrate the launch of the #PieceofCake ad by inviting ten fantastic bloggers to a baking event, where they'll learn to bake a house-shaped cake. 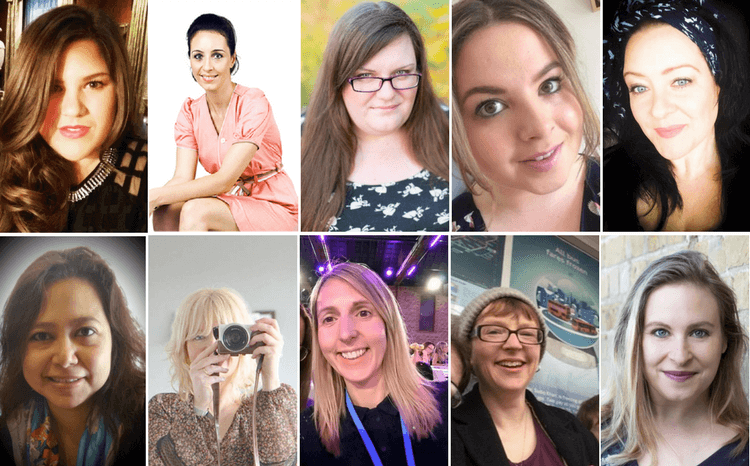 The Bloggers - Who are they? Ten of the best and biggest bloggers in the UK have graciously agreed to participate in our event, hosted by Cookery School. Mother of three Jenny runs a parenting and lifestyle blog over at Midwife and Life. She has been working as a midwife for the past 13 years, and has a strong passion for providing care to women and families in the UK. Sarah likes to blog about the important things in her life - family, food and travelling. With an adventurous family, keen on experiencing new things and places, Sarah named her blog Extraordinary Chaos. She also loves to bake! Laura is a lifestyle blogger, who likes to share her experiences and adventures at Dear Bear and Beany. She has two children, and considers being a parent to be the best job in the world. Laura also loves white chocolate, which may come into play at the event! Jaillan is a journalist and blogger who loves travelling. Always looking to experience new things, Jaillan enjoys sharing the details of her latest adventure, whether it's a trip to the typical destinations, or the unknown, quirkier locations. Emma is all about offering excellent financial advice, whether you're looking to save money, or make a little extra cash. She is an award-winning blogger who runs EmmaDrew.info full-time, after her success allowed her to quit her last job in 2015. After starting up her own parenting blog (in a 'blur of sleep deprivation'), Karen now uses her website to discuss all types of issues - from gardening to politics. However, she still loves to blog about parenting - and has three children of her own. Jacinta (or Jes) is a mum of three who lives in London, and has worked as a teacher before turning to blogging/parenting full-time. She is in the process of writing a children's book, and is an avid reader. She also loves to cook! Fashion blogger Stephanie has been writing about beauty online for five years, combining her love of writing, with her passions of photography, fashion, travel and lifestyle. Based in Hertfordshire, Merry Musing was originally meant to be a hobby, but soon turned into a full-time job. Deborah has been a blogger for over ten years, writing about various aspects of her life, such as scrapbooking, crating and thrifting. She also owns her own store, is an author, and somehow finds the time to raise six children too! Charlotte is a personal finance journalist, who not only runs her own blog at Lotty Earns, but is also the editor at Student Money Saver. She loves a bargain, but enjoys splashing out on the odd swish holiday. The event is due to take place on March 1st 2017. We're going to be live streaming the baking sessions on Facebook, so you can watch as our team of amazing bloggers are building their cake houses!